A lot of the traffic I’m getting right now is traffic from my popular baby penguin video filmed on a trip to Antarctica where I met a baby penguin that has never met humans. The baby penguin video has gone viral. My encounter was surreal. I was given the advice to not approach the penguins, but it was ok for them to approach me. Additional advice was to kneel to as to avoid looking tall and intimidating. I took the advice to the next level and laid on the rocky shore. What ensued was an amazing encounter of man and bird. We calmly spent an hour on the beach interacting with our new found friends. Here’s a video where my baby penguin friends get comfortable and jump on my stomach. 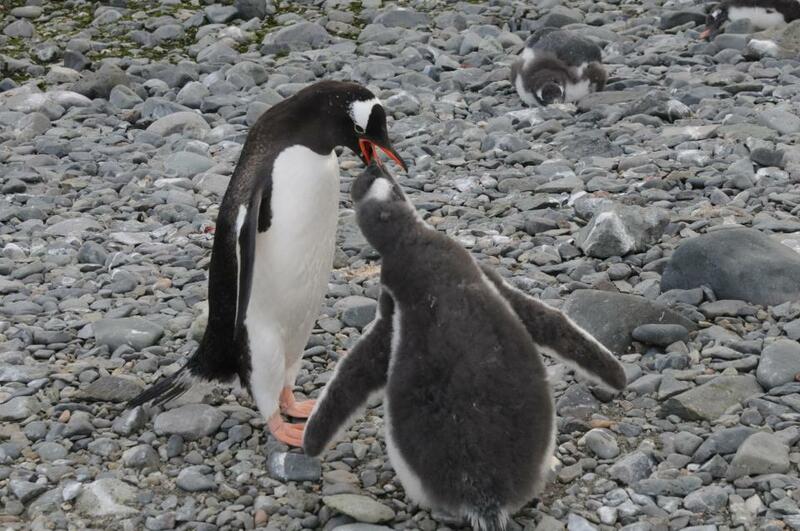 Very close up footage of the baby Gentoo penguins. These cute little guys were curious. They pick at my clothes and in waiting for their parents to bring back food they are looking for anything they can get. This little one jumps on my legs. In the background on the water you can see a research vessel. As well you can see the older penguins waddling around. Chubby little gentoo penguin jumps on my legs. Sorry it’s only 23 seconds. In this next video you get a more holistic view of the beach. There’s Paul and Ricardo, with Michael off further in the distance having his own encounter. Baby Penguins just chillin on the beach… not threatened at all. Just curious. I hope you enjoyed the new footage.